Van Guard is a friendly veteran member of the Guardians. He regularly works with Leader-1's unit on Earth, and is on good terms with the UNECOM team. Van Guard converts from robot to Dodge Caravan mini-van. 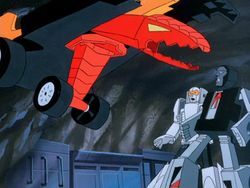 He was one of five toys created by Bandai specifically for release in the GoBots toyline, after the demand for Machine Robo toys in Japan had dwindled. 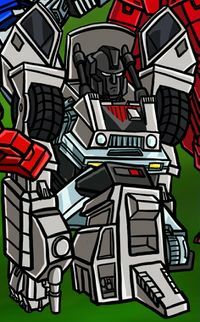 Van Guard's Cybertronian-style body from the "Cataclysm universe" is modeled on Skids from the Generation 1 toyline. This page was last edited on 5 May 2018, at 15:52.